Hello and Happy New Year! How is everyone today! Miss Kate Cuttables Design Team! some awesome creations for all our MKC Fans! 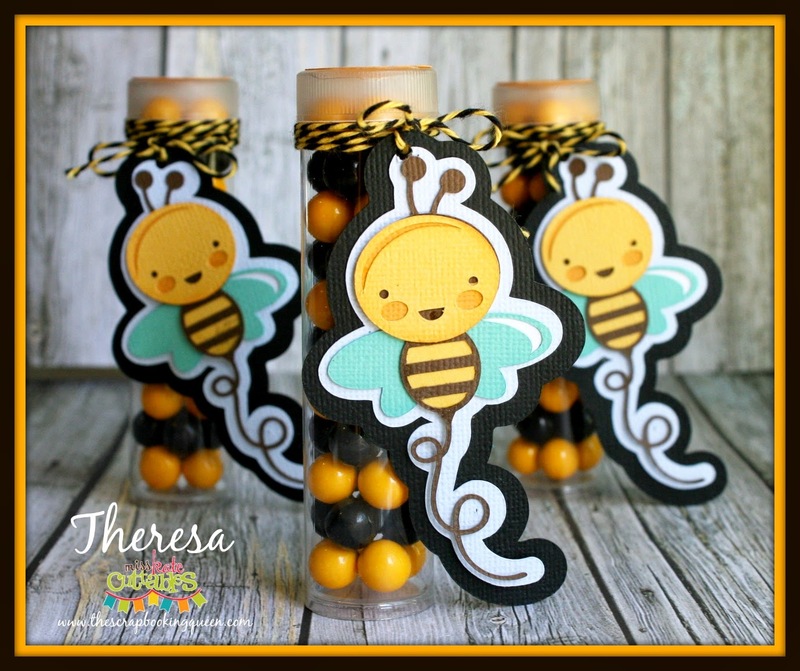 The Queen used Happy Bee to create these adorable treat holders. They really turned out adorable! Its also was easy to put together too! all you need is a good Xyron adhesive tool! Following all our Desigers blogs! make sure you follow all out designers blogs! Your bee project is so stinkin' cute! Love it!! Me encanto como ha quedado su proyecto la felicito. I love your projects and CONGRATULATIONS! So looking forward to seeing all the fun things you and your Design Team will be creating this year. I'm a follower! I follow Miss Kate cuttables already! Congratulations on becoming a DT member for Miss Kate Cuttables!! Congrats on the new Design Team. The projects all look amazing. I am a follower and am looking forward to more inspiration to use these files. I love your little bees. How cute. Thanks for sharing. Congrats on the new team...of course your fabulous projects mean that you were a perfect choice! I have been a long time follower. Cant wait to see what else you and your fellow team create! These are so cute. May have to steal the project. Congratulations! 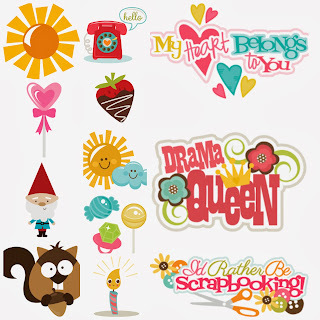 I am following your blog and am excited to see all of the fun projects made using Miss Kate's files! Congrats and Happy New Year. I am a new follower and am looking forward to lots of inspiration in 2014. I'm a new follower - have heard many good things about you from Mary of CardzTV! I'm a follower. Thanks for a chance to win. Congrats! I'm a follower. Happy New Year! Looking forward to seeing exciting new projects. Super cute bee project and congratulations! I love Miss Kate's files! Such a bright and cheerful project! What a super way to share some sweet treats! New follower to your blog. Great project! Congrats!!! Super cute bee treats!!! Oh, this is so exciting ... congratulations on your new "job!" I am a new follower of your blog through Bloglovin, and looking forward to seeing all of your projects! The bee treat holder is absolutely adorable! Great project! FABULOUS Design Team! their work is outstanding! Love you bees....Congrats!! I am a follower! Congrats to you!!!! That is AWESOME!!! your treat holders are SUPER DUPER cute! I absolutely LOVE it! Love this bee!! On my wish list! Such a cute project!! So excited to be working with you! I'm following now! Love your project! I'm excited to see more! Thanks! the treat holders with the bee are adorable!!!!! following ... excited to admire your work! love the bumblebee treat holder!!! congratulations!!! Signed up for email updates, does that make me a follower? New follower, excited to see all your projects!! I'm a new follower. Love the bee treats! Too cute! Going to check out everyone else's creations. Very cute project. I love Miss Kate Cuttables. Following your blog now! This is so adorable Theresa!!! Love these treats! I am so happy for you and you are always busy as a bee! I would love a Cameo but it just isn't in the budget this year. Hugs! I love your little bees Theresa!! Congratulations! look forward to all the wonderful new designs! Cute! Congrats on the new blog! Very cute project! I am now a follower! I am excited about the new blog, lover her cuts! Congrats Theresa. What an AMAZING line up for a DT! Can't wait to see what you all create in 2014. I got a Cameo for Christmas so needles to say, I'll be stopping by a lot! Your treat holders are simply adorabs. You really came up with with a honey of an idea. I am a follower and so have my fingers crossed for the Cameo. I can't BEE-lieve it my fingers are crossed. Love your treat holders. I am a follower! New follower here. Your treat holders are addable. Miss Kate's bee is too cute and the black and yellow twine just finishes them off perfectly. Excited to see what other inspirational projects you come up with using Miss Kate's adorable SVG files. Congrats! Can't wait to see all the new exciting projects for 2014. The Flamingo is adorable! Happy New Year! I'm a follower! Congratulations!!!! Looking forward to seeing all of your wonderful projects! Happy New Year.... I've been following your blog for some time now, and wait with anticipation for every new posting. Your creations are amazing and the treat holder are could not BEE any sweeter. I can't wait to see what you create in 2014. I have become a follower. Love your designs! following! Cant wait to see what else you make! This is so cute! I need to get motivated and do this for the staff at my school! Following. I just love this Theresa, those bee's are so cute! Congrats on being on the new team. I am a follower. Congratulations on making the Design Team, Theresa! 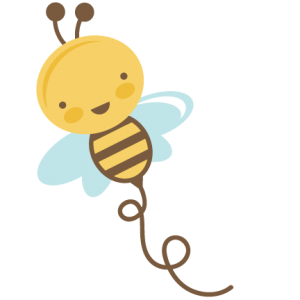 Your little Bees are Bee-u-tifully Cute! Following...of course with such fabulous fresh ideas. Love the yellow/black design. These are adorable. Congrats on being on the design team! Congrats on being on the Design Team! I've become a follower on this blog and all the others!!! 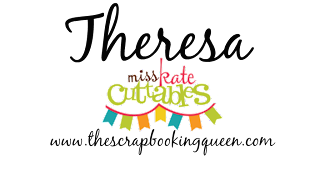 Congratulations on being selected for Miss Kates Cuttables DT - I am a follower of your blog and would love to win that Cameo! Happy New Year! T your little bee's are just the cutest project I love them and I love you to girl, you are such an amazing friend you really are you have done so much for me thanks again it's so nice to be finally on a DT with you and better yet the MKC DT you, Julie and Jenny I felt like have known you's for ever not sure if you remember or not but the 3 of you and a few more are the ones I first started chatting with here and have learned so much from you all. I love your candy holder.. that bee is adorable..
Oh these are just the most adorable candy holders ever. I have become a follower and love your site. Congratulations! These bees treats are too cute!! I've added your blog to my Feedly account! Will be following your great design ideas. Congrats...I am now following your blog...thanks! Love the cute candy containers! Thank you for sharing. Great project, following your blog now. Such a cute project!!! Congrats on having a great DT! Can't wait to see everyone's projects throughout the year! Congrats to you! Love the project so cute! Great project! Love the Bees! Incredibly cute!!! Congrats on your new DT position!! Very cute card! I would love to win the Silhouette! Oh that bee is adorable. LOVE your project. Congrats on your DT Coordinator position! I've just begun my trip down Cameo way! Excited! Just got my Silhouette! So excited to see your blog! Big congratulations to you. I love your sweet bees. I'm a follower and I would so love a Cameo. Congratulations! I love your cute little bees! I chuckled because my dad always called me the "Queen Bee"! Congrats to you Theresa! Love the Happy Bee's. 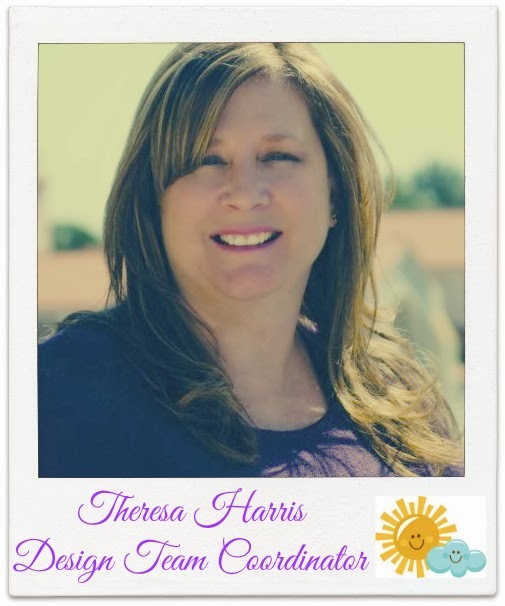 Congratulations Theresa! I just love your darling buzzy bee treat tubes! Congrats Theresa! Great project, that bee is darling! Congrats!!! I'm sure you will rock this just like everything else you do!!!! What a fun cute little bee - that's about the only time I'll use cute/fun in same sentence when talking about a bee.. At least it won't sting me :) Thanks for the chance to win - I'm a follower. I have been a follower. Your bees are so sweet. this is a cool contest and this is really neat that you all got together. Congrats on making the design team, I am more than happy to follow your blog, your projects are great! Congratulations!! Love your project! Can't wait to see what is in store! Congratulations on being cast the DT Coordinator!!! These little bees are so adorable and make such a cute treat holder. I have become a follower ... there is so much wonderful inspiration here. Thank you for sharing and Congrats on the DT. I love the bee. It is so cheerful and we are buried in snow and cold temps. Thanks for the pick me up. New follower. CONGRATS & Happy New Year! I've ALWAYS loved your work and have been a follower for a while now. Can't wait to see what you create with MKC. Love MKC and love that you are the coordinator for the blog. Looking forward to seeing lots of great new projects this year! Have been a follower for a while already!!!!! I am a new follower and a big fan of MKC. Can't wait to see what is next. A New Follower Of your blog...Congrats....Loved the cute creation. I'm a new follower! Love the bee project! Congrats! I am a follower. Can't wait to see what you come up with! Hello your highness! I am a new follower to your blog kingdom and I just love your projects! Congrats on the new DT!! Adorable projects. I am a new follower! Hi. I'm new here, looking forward to following your work. Congratulations on making Miss Kate's team. Congrats on being the DT coordinator! I'm looking forward to seeing what you and your DT come up with using the MKC files. Your bee treat holders are simply adorable. I am a follower. What an adorable little project. I am a long time follower who loves to see your wonderful creations! Love your little bee and I was a long time follower already! so sweet to see for the new year. i am new to this all..looks so fun. New Follower looks like a great design team. Looking forward to seeing what everyone does!! New follower ~ good luck! Yep another new follower! Love the idea. New follower! Thanks for the chance to win! Congratulations on being on the MKC team! This project is so stinkin' cute! Hi, I am a new follower. Congratulations on your new DT position with Miss Kate, I am so glad she directed me to your page. Your project is awesome, I love it. Congrats on becoming a new designer! New follower as well! I'm so excited to see what projects you all create! Fun fun! Thanks for the chance to win. I'm your newest follower! What a sweet idea! I'm a new follower and look forward to seeing some fun and new ideas. I can't believe that I wasn't already a follower... What a sweet treat! Following...those bumblebees are just the cutest! Congrats on joining the design team! Congrats Theresa!!!! I love MKC files and I've been following for a long time!!!! Love you both! I'm a new follower! Adorable project! Thanks for a chance to win! I'm now a follower! Love your blog, and thanks for the contest!